Children’s artist/designer Lorraine Dey, founder of Deystudio, LLC, utilizes her 35 years of experience to create personalized illustrations and designs for children’s books, advertisements and marketing campaigns, as well as home products including apparel and kitchenware. Lorraine works in a wide range of styles including realistic art, textile development, and her new “digital pencil” illustration technique. Combining this breadth of stylistic capability with experience as an Art Director, she provides clients with superior quality designs. In her writing and illustrating of children’s books, Lorraine focuses on the joy of children’s art through the expressive faces and movements of the characters. She uses the latest software and design technology to create visually vibrant and whimsical characters. Lorraine is also available for educational school visits. She tailors her presentation style depending on the size of the school group. For details on books written and illustrated by Lorraine Dey and on her school visit packages, see the Published Books and For PTA & Teachers tabs. 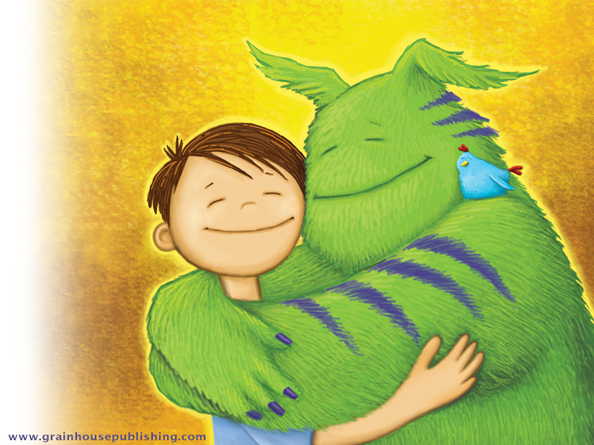 For addition information about children's illustrator and designer Lorraine Dey, send an email to info@deystudio.com. Book a School Visit...CLICK HERE for Info. NEW Release! 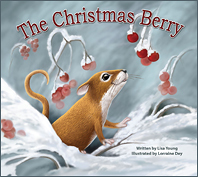 "The Christmas Berry"